Perhaps the title provides a little clue about the probability that this move works out well for St. Louis. While the deal was short (one year), the dollars were perhaps surprisingly high ($8 million) for a move that flies in the face of some poor trends in Lance Berkman‘s production over the past few years. Age is a bitter beast that comes for us all. Since Berkman turned 32 in 2006, he’s turned south in a pronounced way. He had 665 plate appearances that year, right in line with his career production. Then, in 2009, he stepped to the plate 563 times. Last year? 481 times. Along the way, he had knee surgery and had some arthritic changes in the joint that don’t bode well for his mobility in the outfield. Though defense doesn’t factor in to fantasy numbers directly in most leagues, it can have secondary effects. Berkman may find that he can’t play daily in the outfield on that knee – he hasn’t patrolled the outfield regularly since 2007, and that was only for 31 games. He also hasn’t been rated as a positive defender in the outfield since 2003 – what happens when Tony La Russa gets tired of watching Berkman muff fly balls? All of this is before we even look at Berkman’s offensive statistics, which have also shown decline. Since 2008, Berkman has seen his isolated power decline (.255 ISO down to .166) while his BABIP has also dropped (.341 down to .282). While BABIP is often used as a stat to suss out luck on batted balls, players do have some control over the number, usually tied to their speed and their ability to rack up line drives. 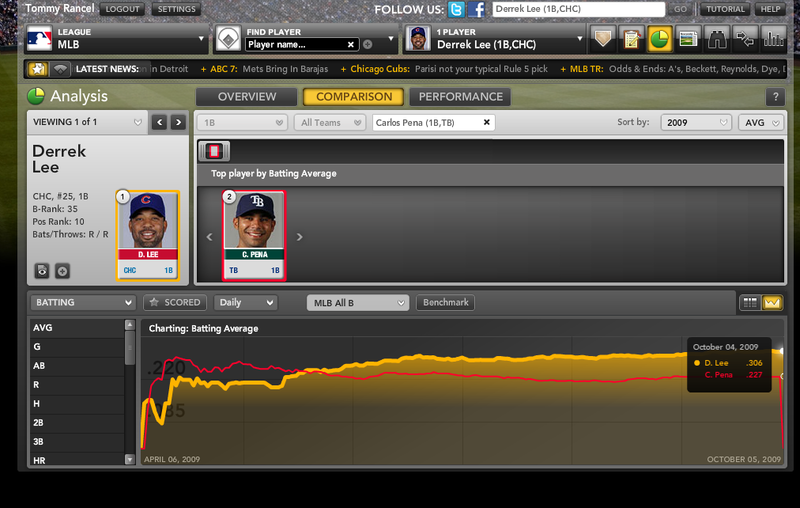 The numbers, in this case, line up with what we can see with our eyes: Berkman has lost a step and a little bat speed. We shouldn’t be surprised. Only 18 first basemen over 35 have put up better than an .800 OPS since 1975, and only Mark McGwire, Andres Galarraga, Jeff Bagwell and Carlos Delgado hit more than 30 home runs beyond that age. Berkman failed to put up an .800 OPS for the first time since he’s become a major league regular, so he’s in danger of repeating that feat. As for the second part, he’s only managed 30 home runs five times in his career – the last was in 2007. He probably won’t make that group a quintet. The Big Puma has always had a great approach at the plate, so in leagues that count on-base percentage, he may still be a boon this season. More traditional leagues should spend no more than a late-round pick on Berkman. Carlos Pena, First Base Bargain? Despite being the Tampa Bay Rays all-time home run leader, Carlos Pena was the second-most important Rays player to sign with a new team at the winter meetings. Carl Crawford got the big bucks from the Boston Red Sox, and Pena is looking to make a big comeback with the Chicago Cubs in 2011. A crown jewel in the Andrew Friedman collection, Pena went from first-round bust to MVP candidate in the span of one season. In his first year (2007) with the (Devil) Rays, the first baseman smashed 46 home runs and drove in 121 runs – both single-season franchise records. 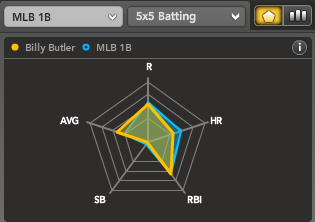 Unsurprisingly, he was unable to top those numbers in any of the next three seasons, but still managed an impressive OPS of .884 in his time with the Rays. Pena became the franchise all-time home run leader this past season. His 144 home runs in a Rays uniform also rank as the sixth highest total in baseball since 2007. For all the good done – on and off the field – during his time with the Rays, Pena ended his career with the Rays on a down note. Just three years removed from his breakout campaign, Los hit just .195/.325/.409 in 2010. Aside from the massive number of strikeouts which are typical for a three outcome hitter (home runs, walks, and strikeouts), groundball outs were also a problem for Pena this past season. His 44.9% groundball rate was his highest total in any full-season. 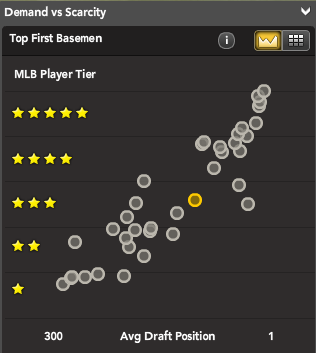 The last thing you want from primary home run hitter is nearly half the balls he puts in play staying on the ground. 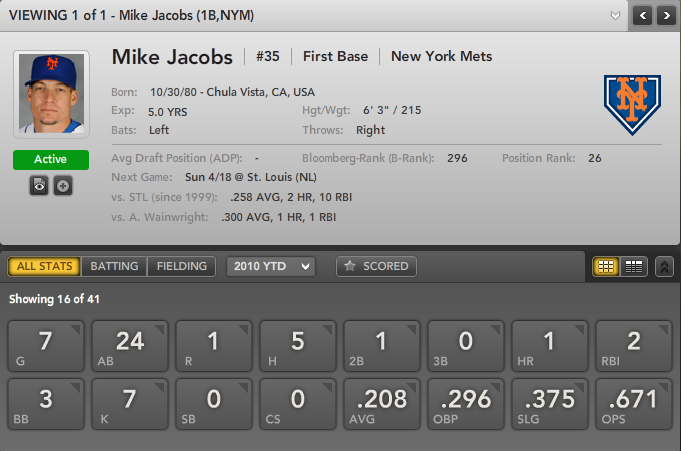 His slash line (AVG/OBP/SLG) on grounders was an abysmal .137/.137/.151. The .137 BA represents the second-lowest average on groundballs (min. 100 PA) in the majors, owing to Pena’s lack of speed, and teams shifting on him to prevent right-side grounders from scooting through the infield. Though he may be on the downside of his career, Pena’s power is still a threat. Aside from the terrible slash line, the strikeouts, and high number of grounders, Pena still managed to hit 28 home runs last year. Also consider, he is moving from a below-average hitter’s park for left-handed batters to one of the friendlier parks for lefties. According to statcorner.com, Tropicana Field had a home run park factor of 89 for LHB (neutral is 100). Wrigley Field, on the other hand, had a park factor of 119. NL Central pitching is likely to be easier to handle than that seen in the AL East too. After whiffing (literally) on his chance of a big payday this off-season, Pena gets another chance with this one-year, $10 million deal with the Cubs. With contract motivation, a ton of natural power, a home run friendly environment, and even reuniting with hitting guru Rudy Jaramillo, Pena could be poised for another 30-plus home run campaign. For fantasy owners who don’t want to pay premium prices for a first baseman, Pena could be a good sleeper. At a stacked position, and coming of a down year, he could get lost in the shuffle in some leagues. 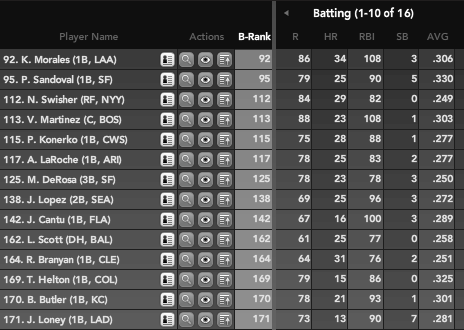 While Adrian Gonzalez, Albert Pujols, and Joey Votto go early, you can focus on a weaker position (say, shortstop Troy Tulowitzki) in the first few rounds and target Pena as a mid-to-late-round selection in mixed leagues. With only six weeks remaining, the National League East race is heating up. The Atlanta Braves and Philadelphia Phillies are the only teams with realistic shots at hooking the title, but both have endured a rash of injuries in recent weeks. But while Ryan Howard and Chase Utley are now back for the Phillies, the Braves have lost Chipper Jones for the season and Troy Glaus is on the disabled list. Counting on health with Jones and Glaus on the corners is like playing Russian roulette with a full clip. The Braves have responded by adding long-time Chicago Cubs first baseman Derrek Lee. A pending free agent, the Cubs received more value than they should have for Lee, but that aspect isn’t nearly as important for the short-term as what the Braves received. 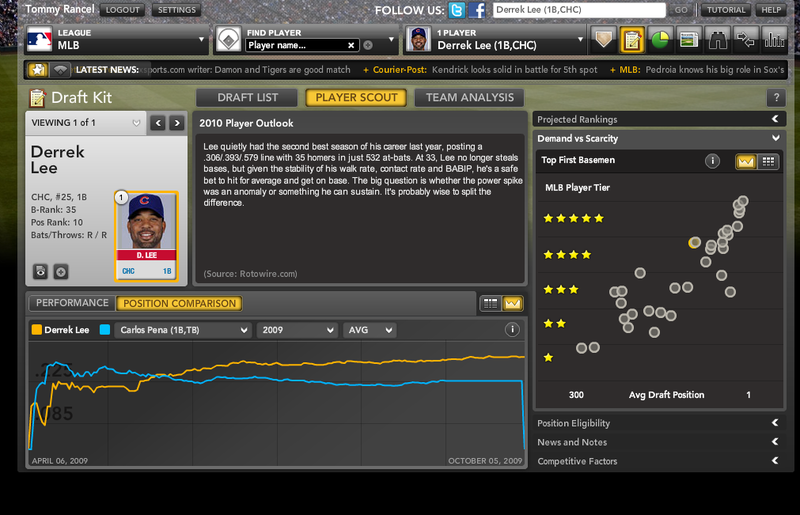 Glaus owners in particular should be looking at adding Lee, as he’s still available in 6.5% of ESPN leagues. Lee’s seasonal line is a disappointing .247/.333/.410 with 16 homers and 65 runs batted in. One of the more telling differences between Lee’s magnificent 2009 season, in which he hit .306 with 35 homers and 91 RBI, and his 2010 campaign, is his strikeout rate. In about 100 fewer at-bats, Lee has struck out just five fewer times than he did all of last year. The soon-to-be 35-year-old is striking out at his highest rate since leaving the Marlins in 2003. Lee is still walking and his non-home run power (22 doubles) is in line with 2006-2008 totals. The raisin in the sun is Lee’s batting average on balls in play. 29.1% of Lee’s balls in play are turning into hits, marking a career-low dating back to 1999 and more than 30 points below his previous low over the past five years. Batted ball data suggest a bit of a change in how Lee is hitting the ball, with a slight uptick in grounders over last year and a steady drop in flyballs. Lee is getting slightly fewer infield hits, but that comes with fewer infield flies too, a worthy trade-off in the big picture. Being dropped into a pennant race could revitalize Lee’s spirit (and he has heated up lately) but do not expect him to hit like he did last year. 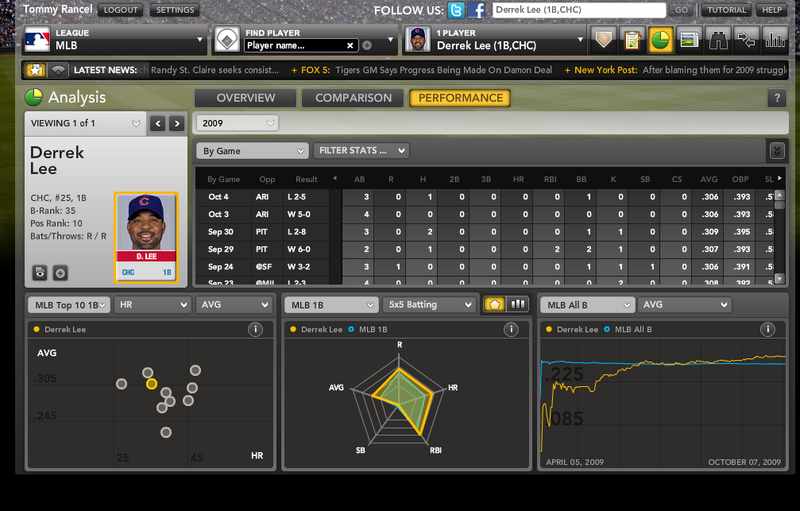 Lee’s 2008 line of .291/.361/.462 line is probably a good best-case scenario for the last six weeks of 2010. As for the other significant recent waiver acquisition, Pedro Feliz with the Cardinals, don’t bother unless you play in a fantasy league where the goal is to field the worst players. In that case, he is a keeper. For more on Derrek Lee, Pedro Feliz, and other late-season adds, check out Bloomberg Sports’ Fantasy Kits.